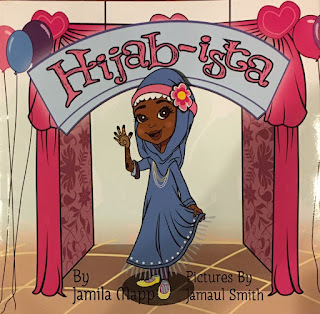 Jamila Mapps new book, "Hijab-ista"! Save for a few misses, our family tries to make sure we’re present at the African American Book Fair that’s held every year on Community College of Philadelphia’s campus. For me, it has always been important to have books on my bookshelf that my children could see themselves in. What’s always undoubtedly missing from this fair is black muslim authors. I hope this starts to change as more and more black muslim women I know delve into publishing their own books. Over the past couple of months, preorder and debuts of children’s books written by black muslim women have made its way to the market. One of those books happens to be by a high school friend of mine, Jamila Mapp. 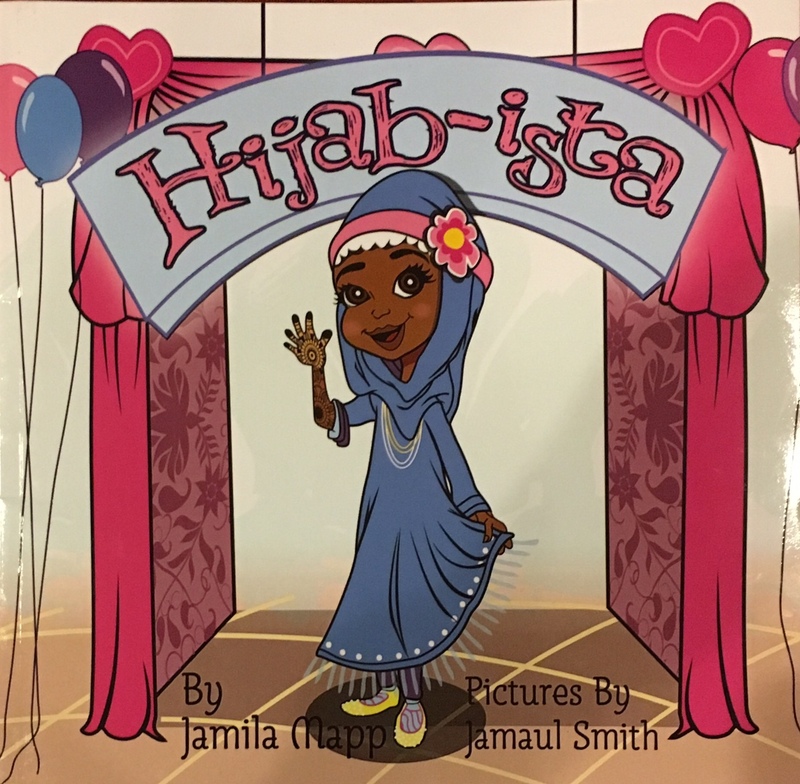 Jamila was inspired by the two littles she has at home to help make the literature market a little more diverse by penning a book about a little girls search for the perfect hijab called “Hijab-ista”. When I received this book in the mail, I was so excited to share it with my girls! 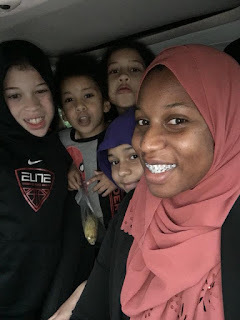 Unfortunately, with the hustle and bustle of Eid, back to school shopping, classroom preparation, and blogging, I found myself unable to fully read and digest it with the girls until last weekend. We were pleasantly surprised at the rhythmic cadence of the words! As I read it allowed, each sentence flowed off of my tongue and put a smile on both of my little girls faces. The imagery was also a highlight! The very first picture is of a beautiful, brown little muslimah in hijab on the cover waving as if to welcome you to the book. The proceeding pages highlights Mila’s quest with vibrant colors and scenery unique to the Muslim community that many of us can relate to. Jamila also works in important values into the book before ending it on a successful journey that ends with a party. The last page brings with it the introduction of several new characters that left my girls hoping for a follow up adventure that I’m sure the author already has in the works. I would highly recommend this book for families who are raising young Muslim girls to love themselves and love their hijab. With the constant bombardment of visuals to counter this narrative, I’m always happy to see books like “Hijab-ista combat that. To see how the book came packaged, the thoughtful card inside and to catch a glimpse of more pages, watch the video below and/or visit my youtube page ! Siraj even makes an appearance because he’s clearly always the star of the show.